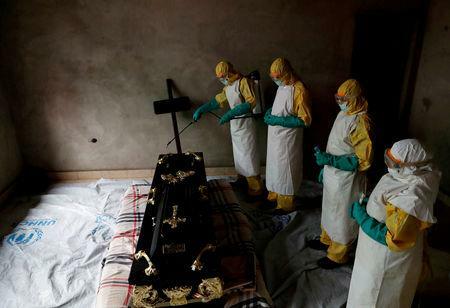 LONDON (Reuters) - The World Health Organization (WHO) on Wednesday said it had reconvened an expert panel to consider whether an outbreak of Ebola in the Democratic Republic of Congo constitutes a public health emergency of international concern. The panel, which first met on this issue in October 2018, will also give updated recommendations on how global health officials should manage the outbreak, the WHO said in a statement from its Geneva headquarters. At least 740 people have died among the more than 1,100 infected in this epidemic, which began in August 2018. Declaring the outbreak a "public health emergency of international concern", or PHEIC, would ramp up the international response with a formal alert that puts governments on notice and helps to mobilize resources and research. 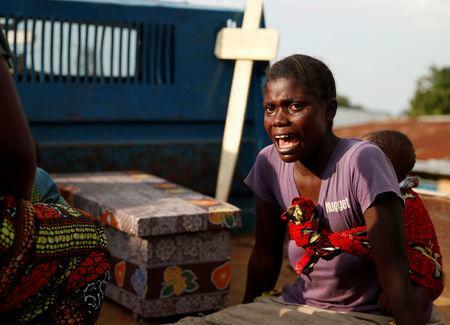 The WHO said that while the outbreak is contained to the provinces of North Kivu and Ituri, efforts to bring it under control in these urban areas have been hampered by security and access problems. As a result, it said, Ebola transmission has increased in some areas. "Though the risk of spread within the country and to neighboring countries is very high, the risk remains low globally," the WHO statement added. The emergency panel's meeting will take place on Friday April 12 and its decision will be published late the same day.